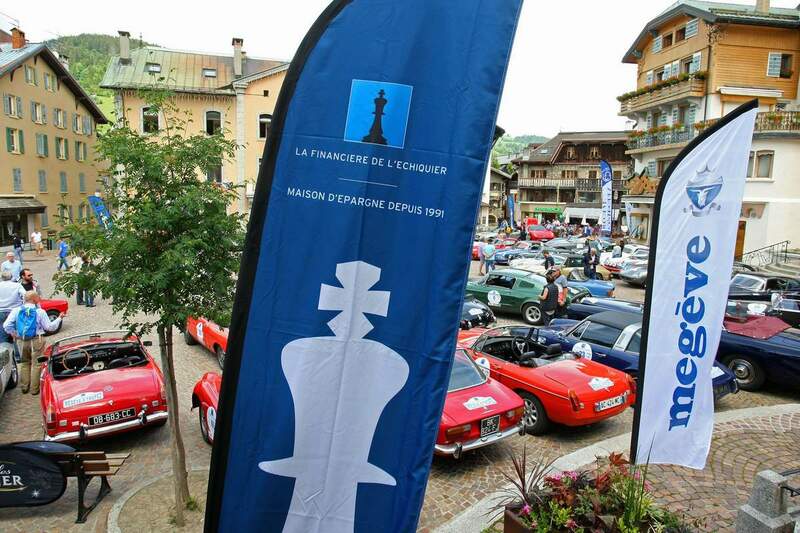 It was not less than 70 “Classic” and prestige cars that had an appointment in Megève for the start of the 4th Rally Megève – St-Tropez – La Financière de l’Echiquier where a large public admired Ferrari, Porsche, Lamborghini, Triumph and others Jaguar taking the colors of the rally during the traditional day of scrutineerings and discover the special edition of the « Grands Fonds » watch proposed by ZRC, official timekeeper of the Rally which triggered the « gymkhana » prologue organized around the Pilatus PC12 Jetfly plane, on the tarmac of the Megève altiport. 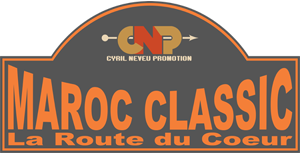 This prologue took place under mixed climatic conditions, sometimes under the sun or rain showers, and the participants ensured a wonderful show, in beautiful slips and lurches, not always mastered but where it was necessary to carefully avoid to reverse cones bordering the course. 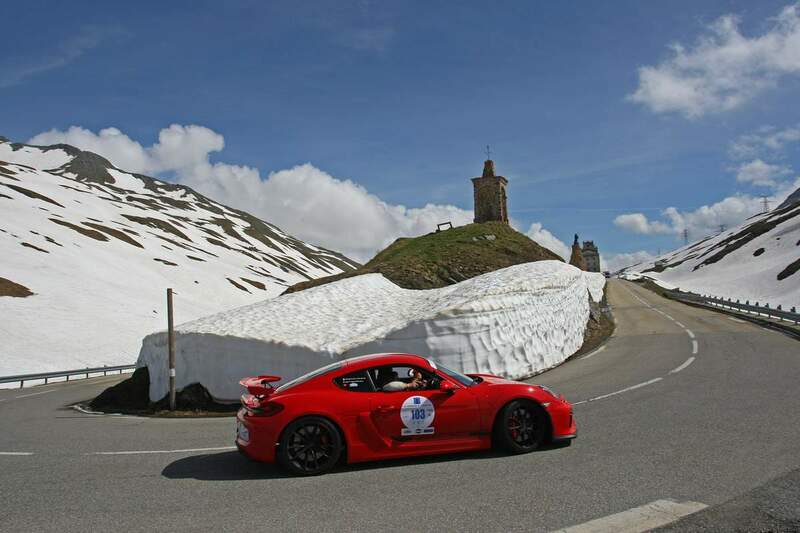 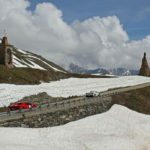 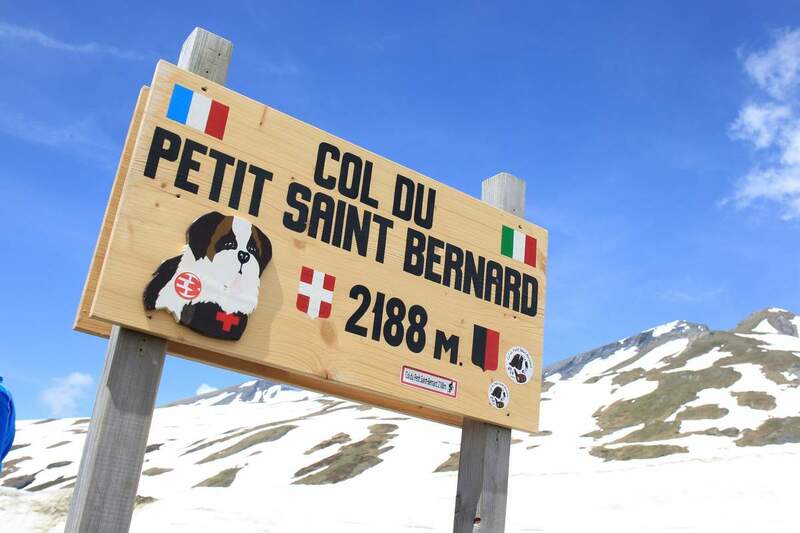 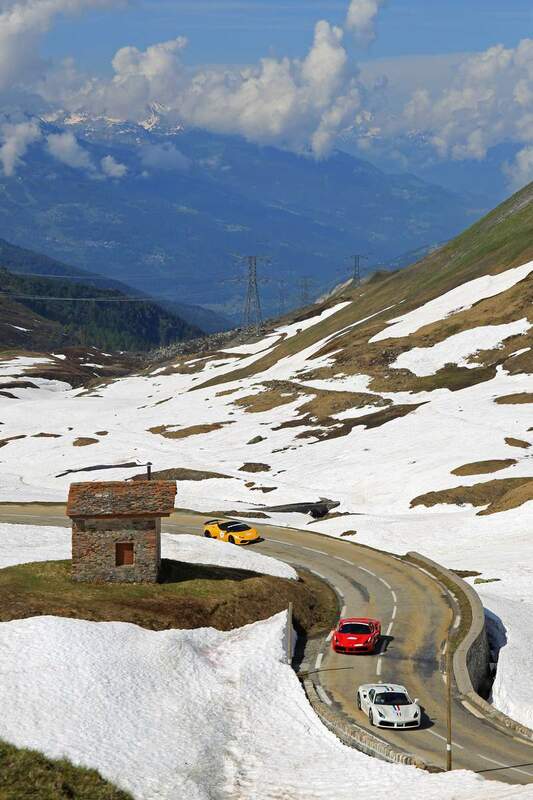 After a Savoyard evening, the crews were ready to face the three stages, 900 kilometers and the fifteen mountain passes of this 2018 edition and it is under a radiant sun that the competitors started to climb the Col du Petit Saint-Bernard and its altitude of 2188m leading to the Aosta Valley. 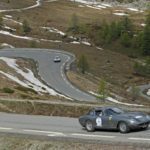 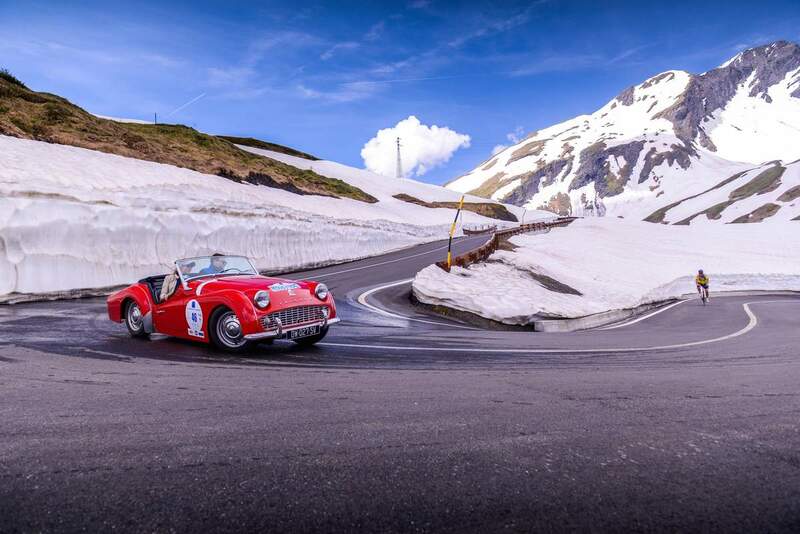 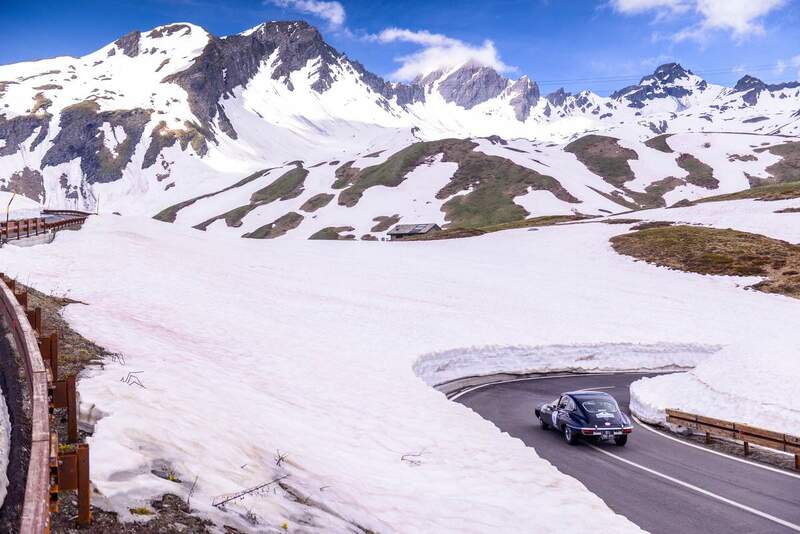 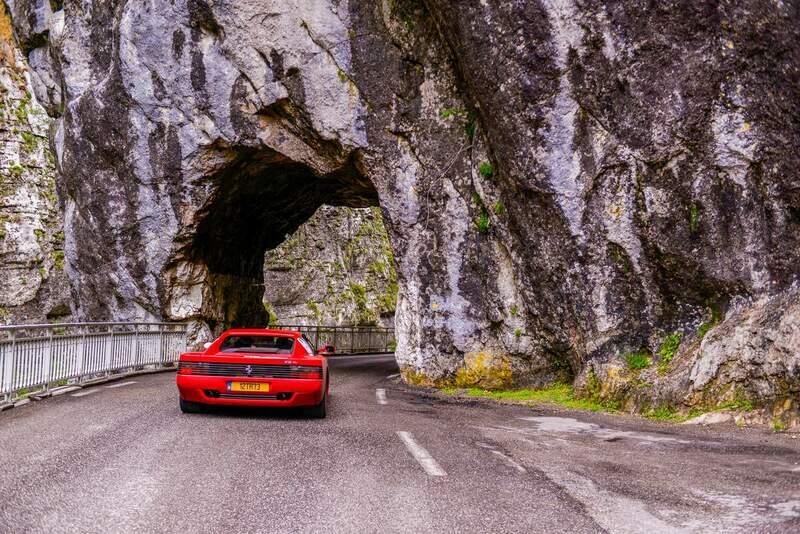 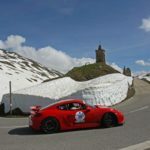 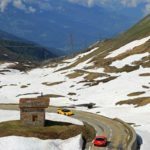 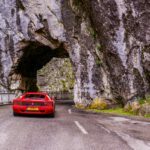 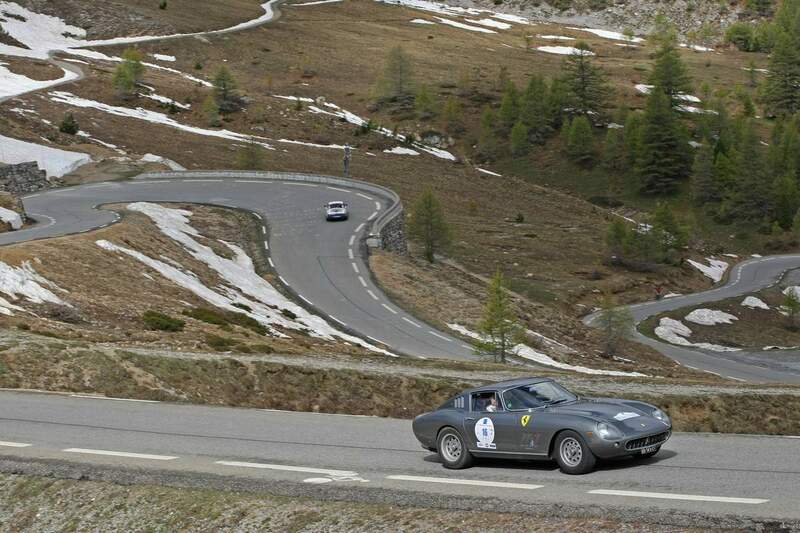 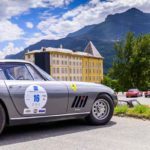 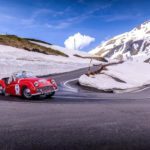 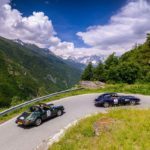 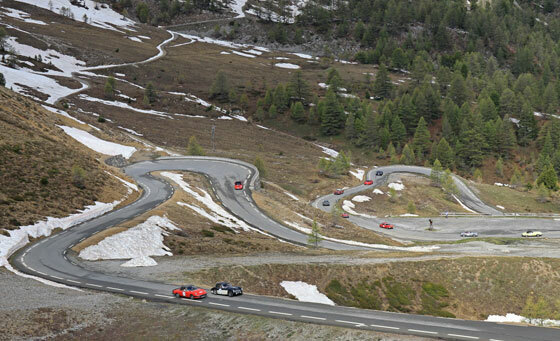 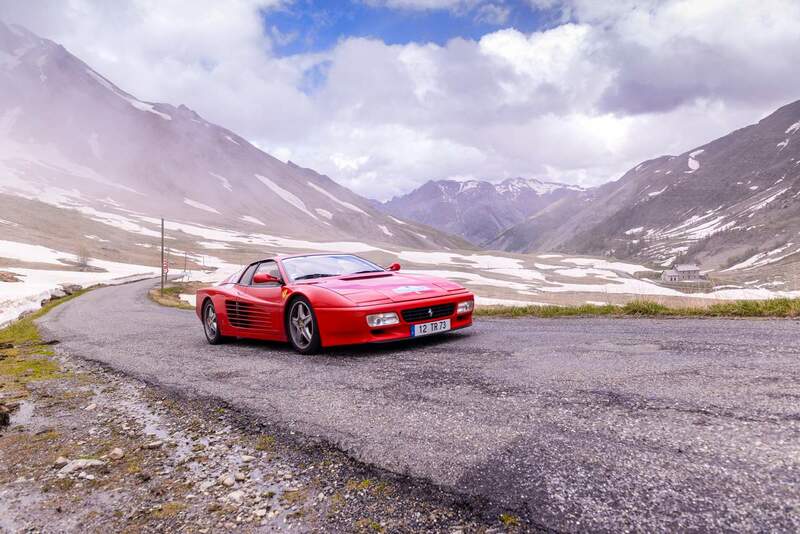 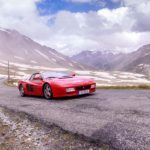 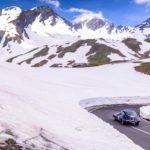 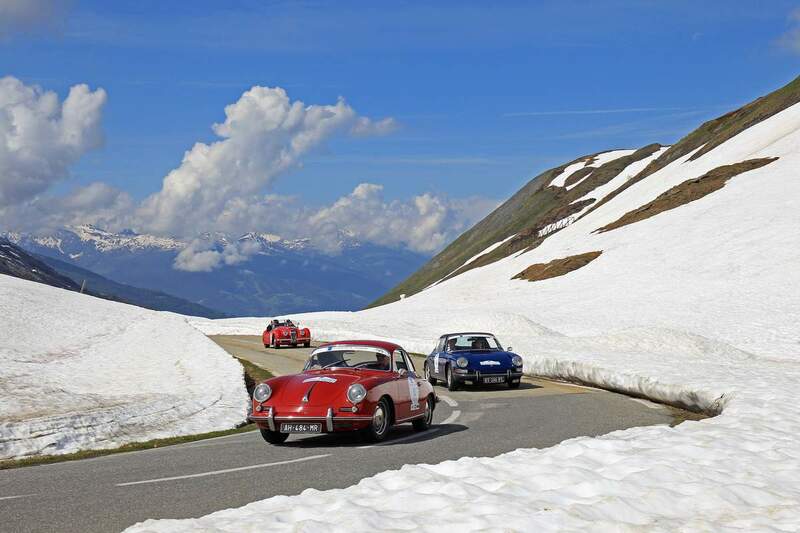 In this setting close to imaginary, it was necessary to cross spectacular snowdrifts, over 4 meters high, and present themselves at the first Check-Point and participate in a short stage of regularity marking our entry into Italy. 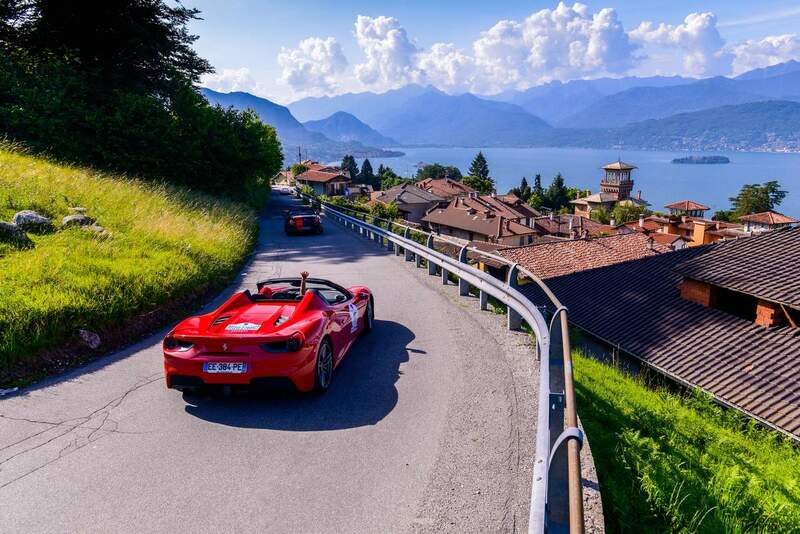 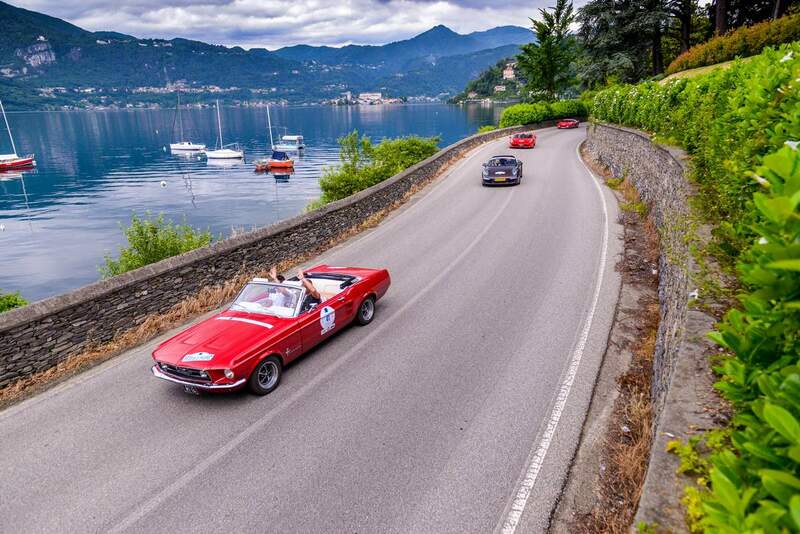 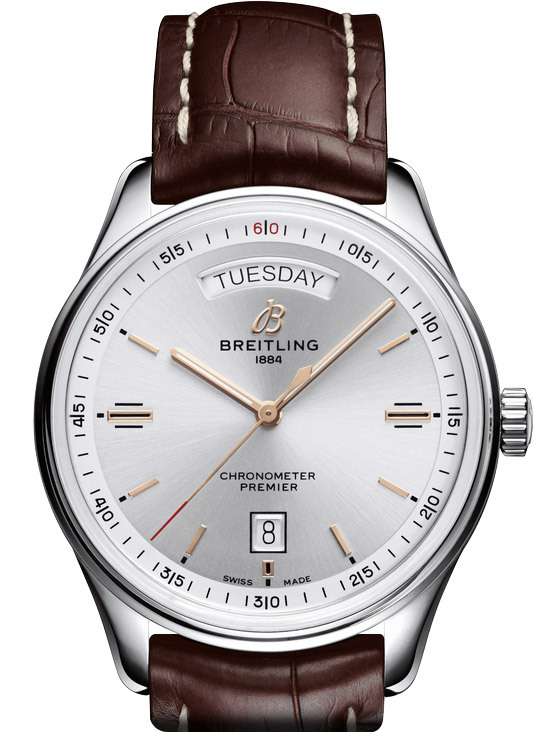 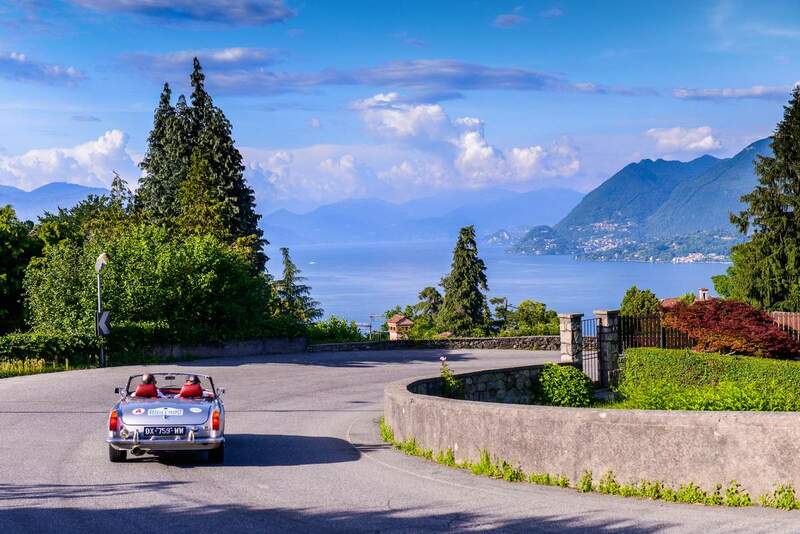 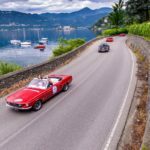 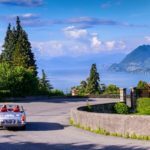 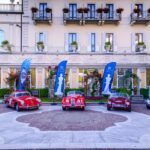 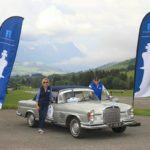 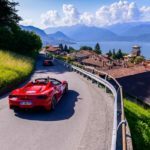 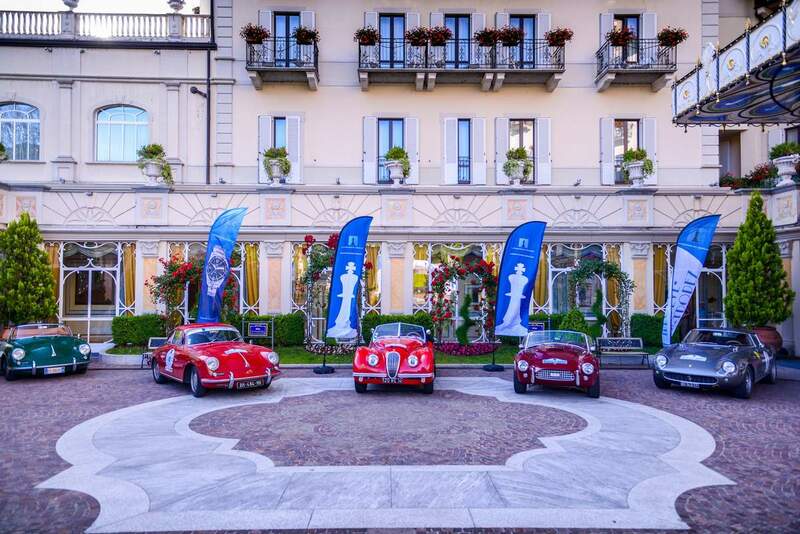 The friendly “fight” in the general classification was launched, while the road accelerated towards the magical scenery of the shores of Lake Maggiore in Stresa, in a pure Italian style, between renaissance and rococo which marked the end of the first day. 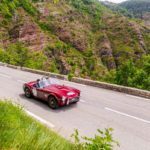 The next stage was again time to go to the Piemont for a gastronomic rendez-vous at Castelo de Parella, a place steeped in history, imbued with strong memories of the medieval era. 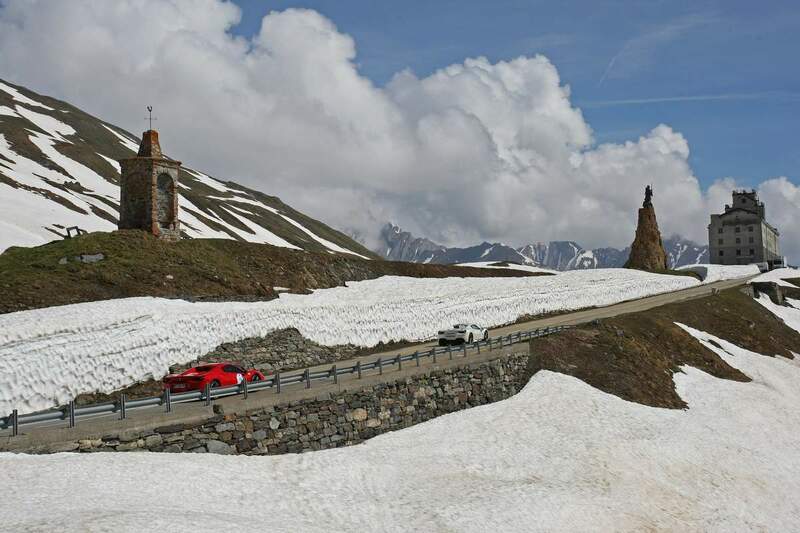 The journey again penetrated into a more mountainous environment where CP and regularity stages were linked, witnessing our return to the heights via the Colle del Lys and confirmed a fight “at the top” in both categories, before joining the Franco-Italian border at the Col du Montgenèvre and the very popular descent to the famous ski resort of Serre Chevalier. 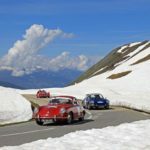 It wasn’t counting on the anthology trip which awaited the participants for the third and last stage of the Rally where it was necessary to take, at the same time, the most beautiful roads of the Tour de France, Rally Monte-Carlo but also of the Route des Grandes Alpes in an impressive collection of turns and hairpins to cross three passes over 2200m (Izoard, Vars and Cayolle) and their breathtaking panoramas. 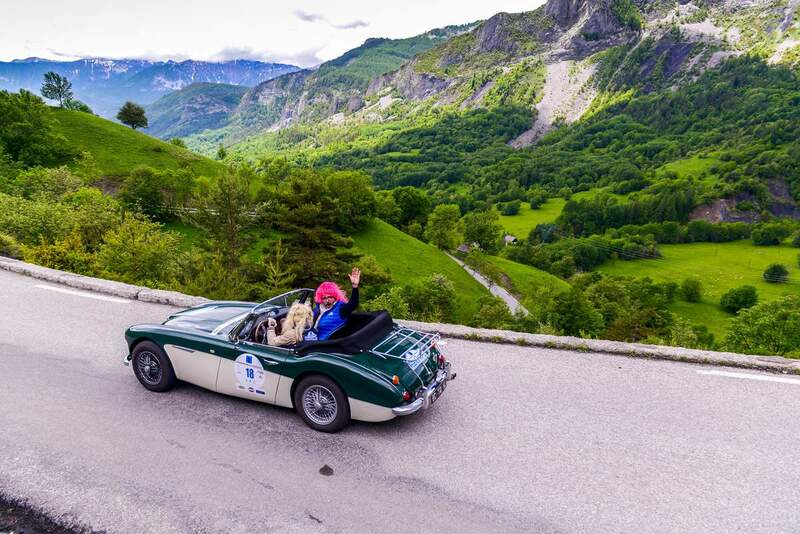 It is in the sumptuous setting of the Mercantour Park, where participants had an appointment with the many observant marmots along the road, to enjoy a picnic in the countryside. 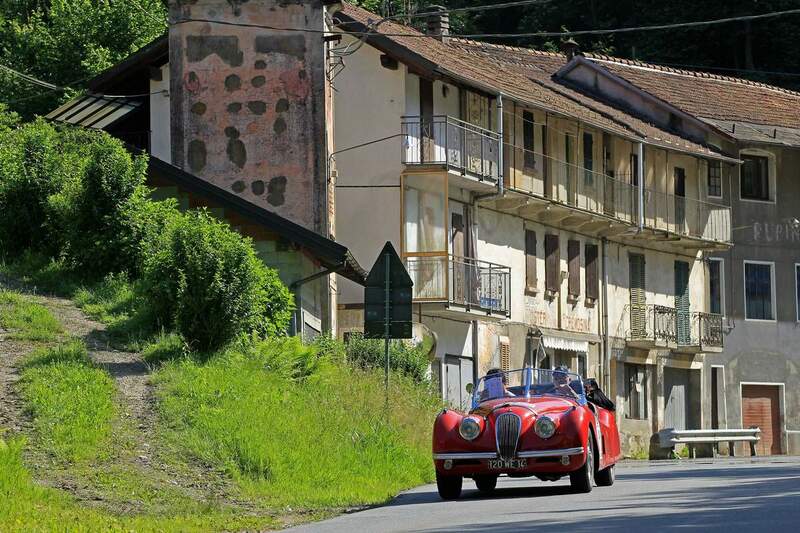 After this final gastro-touristic stop, and to finish with the 18,000m of elevation gain proposed by the rally, the crews had to join Entrevaux, a superb village hung on the mountain, to finally cross the Col de Bleine and Félines, land of rallies, in the south of France, to join the Var and enjoy the refreshing glass of rosé at Domaine Bertaud Belieu, place of departure of the final convoy leading to Saint-Tropez and its triumphant arrival on the Place des Lices. 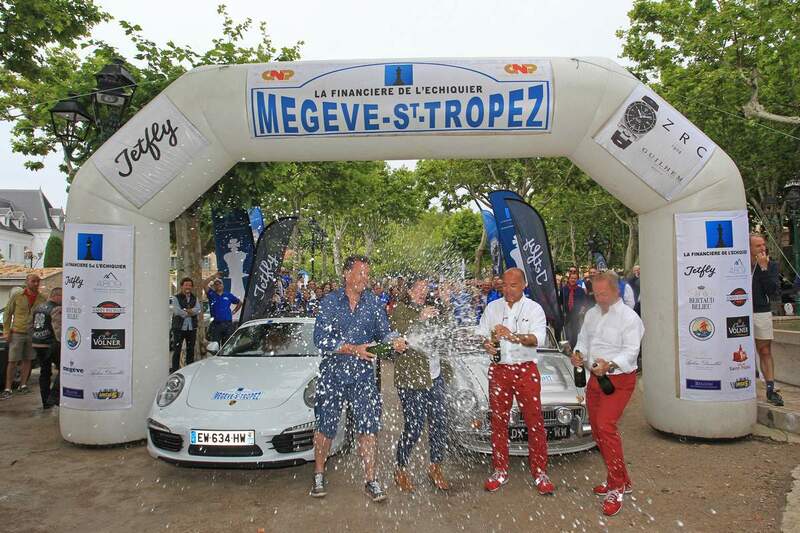 It was under the eyes of many admirers that the winners of this 4th edition of the Rally were celebrated. 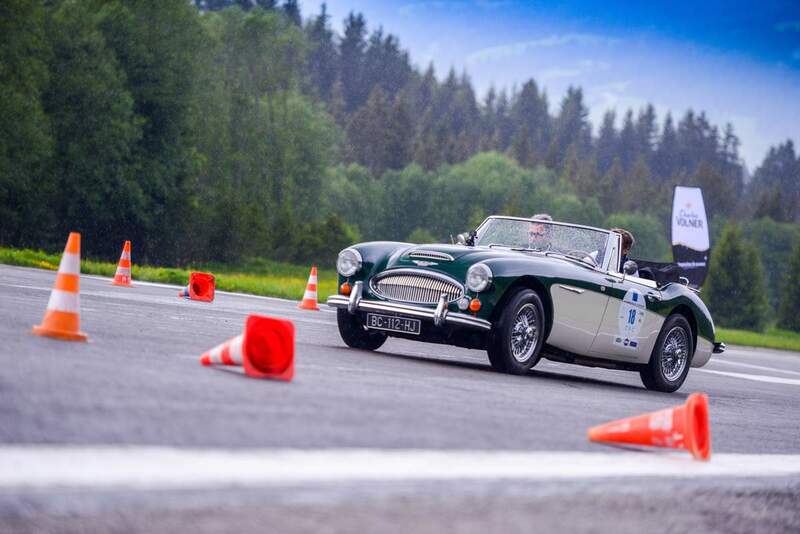 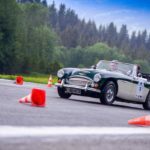 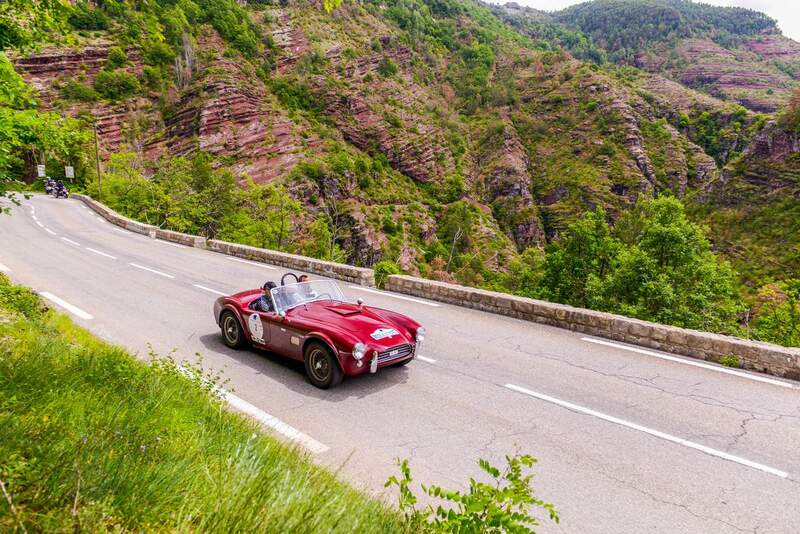 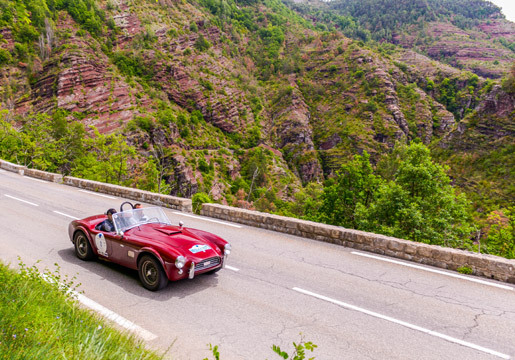 In the “Classic” category, Joseph SOLER and Didier DINH are driving their MG B V8 for the second year in a row; while in the “Prestige” category, Mylène and Guillaume GIFFARD, very moved, won the race at the controls of their Porsche 991 after several participations. 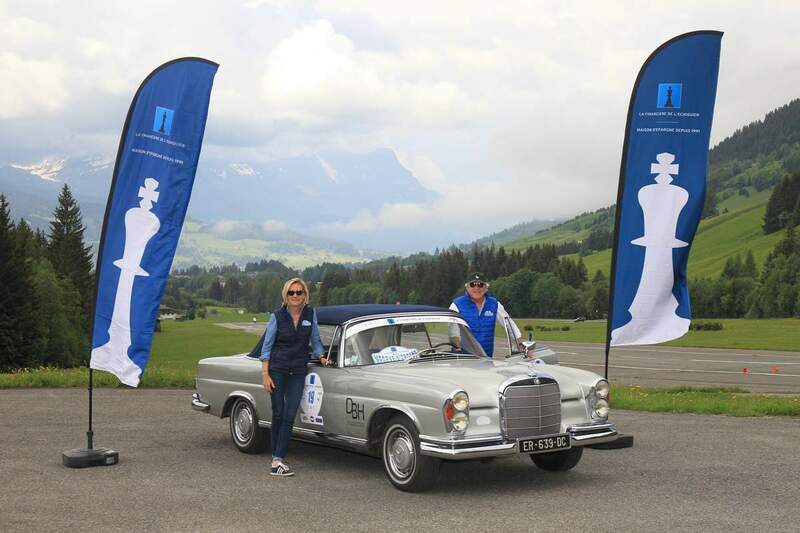 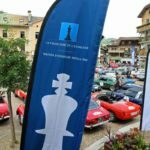 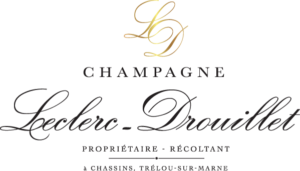 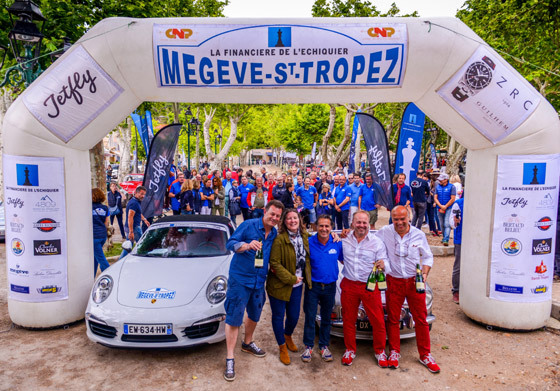 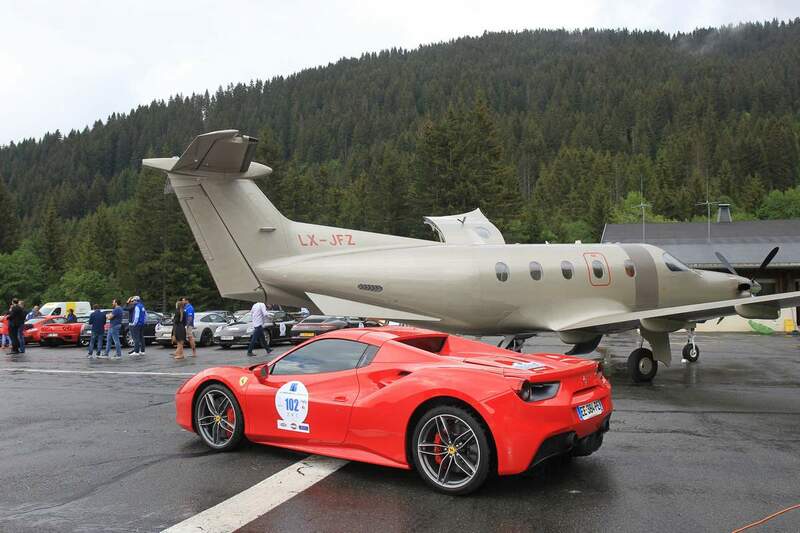 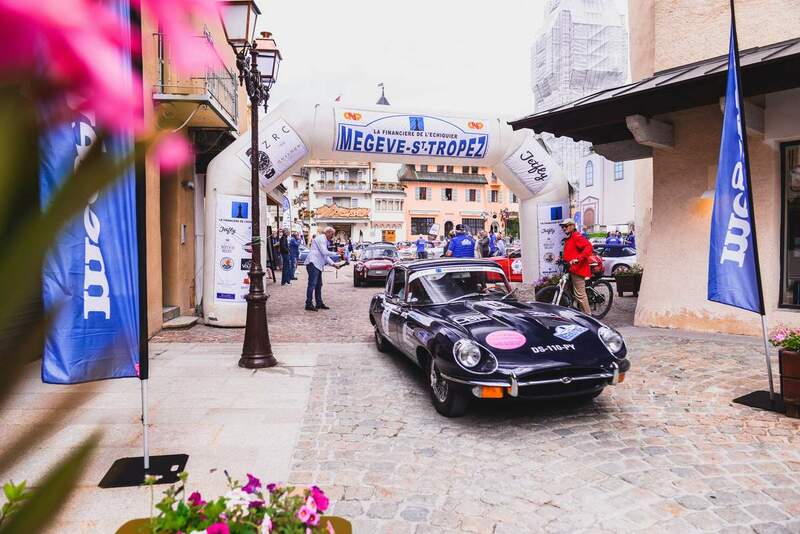 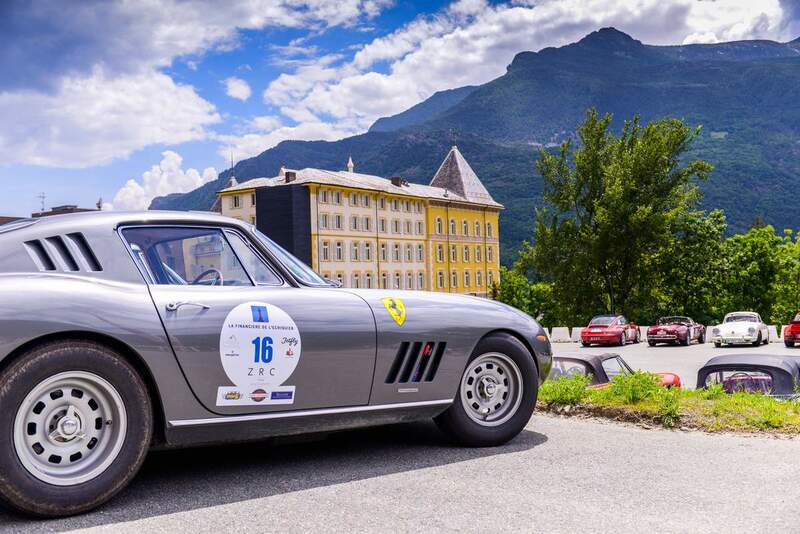 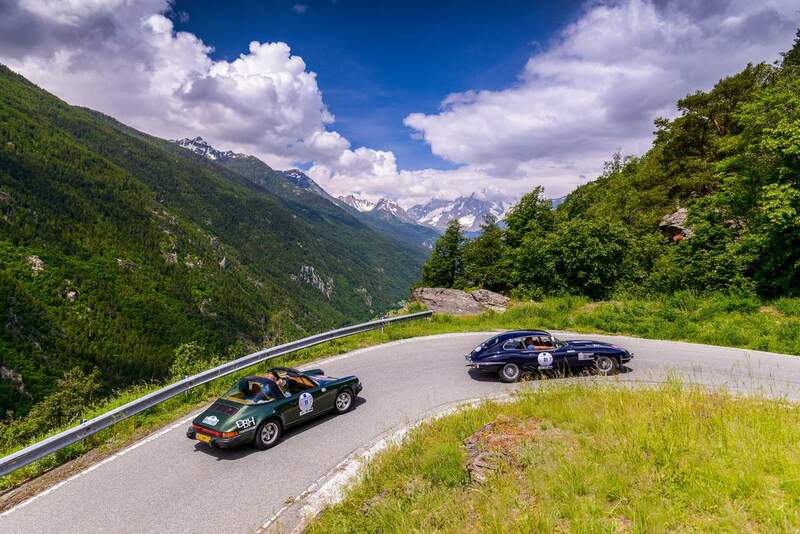 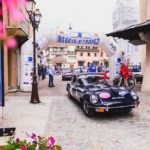 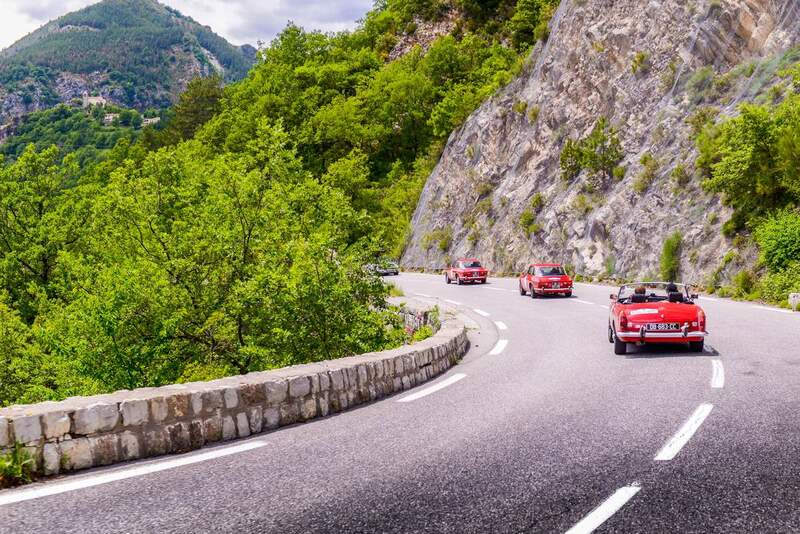 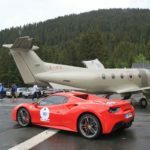 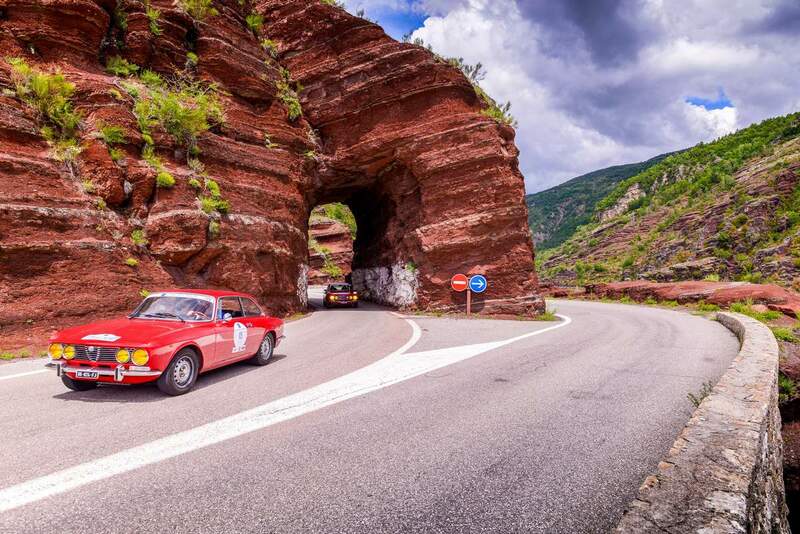 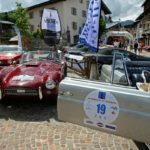 The prize-giving organized at the Jumeaux, famous place of the Pampelonne Beach, taking on the colors of La Financière de L’Echiquier and congratulate the winners of this Rally Megève – St-Tropez – La Financière de l’Echiquier who will have kept all his promises! 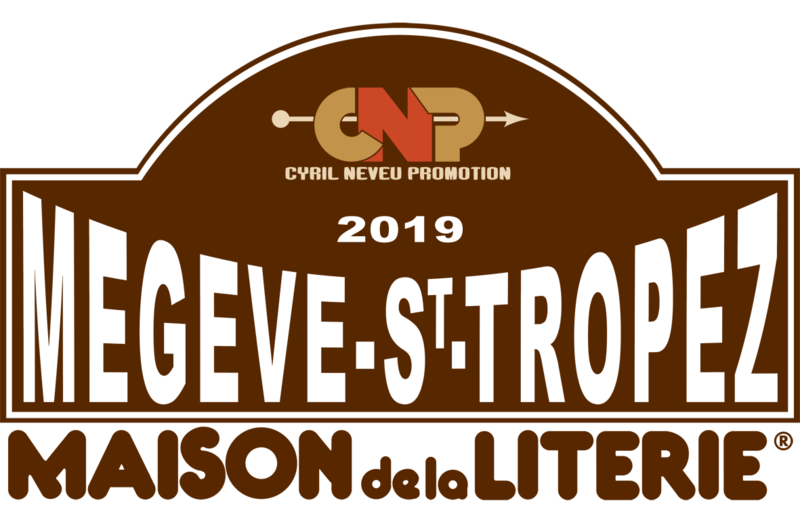 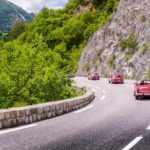 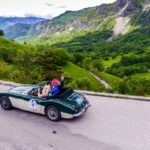 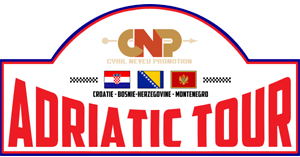 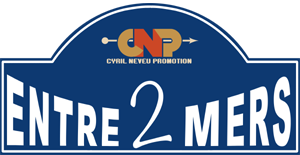 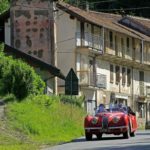 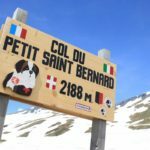 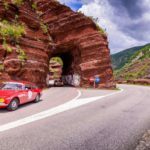 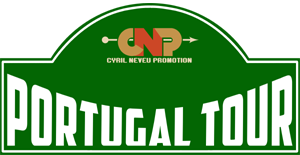 Rendez-vous is given in 2019, for a new edition, where Cyril Neveu promises you a course renewed between the Northern Alps and the Mediterranean Sea.